In the week since Fallout 76's release, it since has become one of 2018’s more divisive games. Its Metacritic page is a horrorshow; its official forum and subreddits are battlegrounds between those who have found something to love in the buggy online survival game and those who think Bethesda has taken the series off a cliff. While there’s a lot of hyperbole on both sides, many players’ disappointment is reasonable, given how Fallout 76 was pitched to them when it was originally revealed at this year’s E3. In a smart post on the subject over at Forbes, writer Paul Tassi compares how the game turned out when compared to some of the ways director Todd Howard described it during Bethesda’s E3 presentation in June. Howard talked up the game’s “all-new” rendering technology, but Fallout 76 doesn’t look that much better than past games in the series, with just a few exceptions. Howard said 76 would get a beta to help the launch go smoothly, but said beta ended up taking place right before release, making it feel more like early access for people who pre-ordered and not a real testing period where Bethesda could take the feedback it received and use it to improve the finished product. In his piece, Tassi correctly notes that, at least so far, none of that has panned out because there’s no sense of permanence to the world that players in the game inhabit. There’s actually a lot about Fallout 76 I quite like, especially when I play it like a traditional single-player game. But it’s also clear that it lacks the strong character-based stories of previous Bethesda games, and contrary to Howard’s pitch at E3, players haven’t been given the tools to create interesting stories of their own as a substitute. Every time you log into Fallout 76, you’re randomly placed into one of the game’s servers with a bunch of strangers. Your equipment, story progress, and campsite all come along with you, but anything you do in the world outside of pre-structured quest lines goes away once you leave the game and come back later. While you can team up with friends, the map you explore and build your bases on will never stay the same. You might run into a fellow Vault dweller somewhere in the hills of West Virginia, decide to trade some items and explore a nearby factory, maybe even take down a high level Deathclaw in a tense, drawn out firefight during the process, and then decide to split after looting the corpse. Unless you go out of your way to friend them, though, you’ll never see that person again because the next time both of you log on, you’ll be on completely different servers. Howard hinted at this lonely future in his original remarks at the conference. “Your character isn’t tied to one server. In fact, you’ll never even see a server when you play,” he said at the time. But many, myself included, took this to mean that joining up with friends from different servers would be easy and seamless, not that the world of Fallout 76 itself would be ephemeral and impossible for people to leave their marks on. Even the nukes players launch don’t have any lasting effects. One of the informational trailers shown during the E3 showcase described how players rebuilding civilisation would be a key part of Fallout 76. The “desire to build” is what separates man from beast, the trailer says, before showing groups of players hanging out in outposts together fending off hordes of Super Mutants and the occasional Scorchbeast. In reality, though, players’ campsites are more like bachelor pads than communes. Players can’t build them together, and they disappear when they person they belong to isn’t logged in. And since there’s no way for multiple groups of people to all play on the same server together, building up rival camps and engaging in complex role-play, there’s no real way for players to become the heroes and villains in a larger, self-authored drama. There are public campsites on the map that people can take control of and mine for important resources. But since they’re unique to each server, anything you build up will disappear when you log off, never to return. Like personal campsites, they too can only be controlled by one player at a time, making it impossible for groups of people to collaborate on building up and defending the sites together for mutual benefit. Whereas Howard had previously argued that players would be the characters in Fallout 76, they can’t do the things that non-playable characters could in past Fallout games: they can’t open up shops, give one another quests, or engage in political intrigue. I’ve even become leery of building up my own campsite in the game given how buggy everything continues to be, even despite the 47 GB patch that went live at the beginning of the week. Campsites are supposed to be perfectly portable, not only across servers but across individual instances of the map. Individual segments of your camp—a platform with defensive turrets on it, or a station of crafting benches—are supposed to be “stored” when you relocate, allowing you to later replace them wherever makes sense. So far that’s proven to be the exception rather than the rule. More often than not, when I’ve tried to transport the camp I’d been building up somewhere else, most of the stuff in it disappeared. As a result, as I explore Fallout 76's late game, I’ve taken to using an extremely barebones camp to make the loss of resettling elsewhere less painful. Rather than feeling emboldened in my apparent mission to help forge a new, post-nuclear fallout society in the hills of West Virginia, I’ve more often found myself pining for Vault 76, which has proven to be more hospitable and permanent than any human-built shelters I’ve encountered out in the wild. “We have built a platform of 100 per cent dedicated servers that will support this game now and for years to come,” Howard said during the E3 showcase. 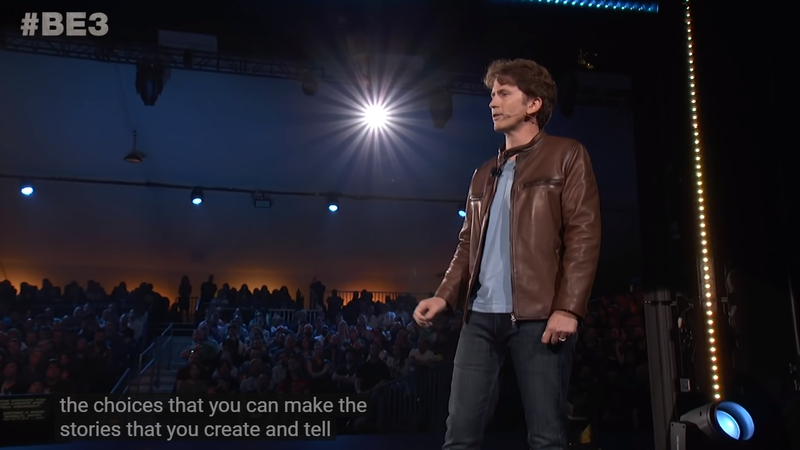 Assuming that last part is still true, it’s possible that Fallout 76 could still become the narratively rich online game Todd Howard originally described. What Bethesda shipped last week is not that game.